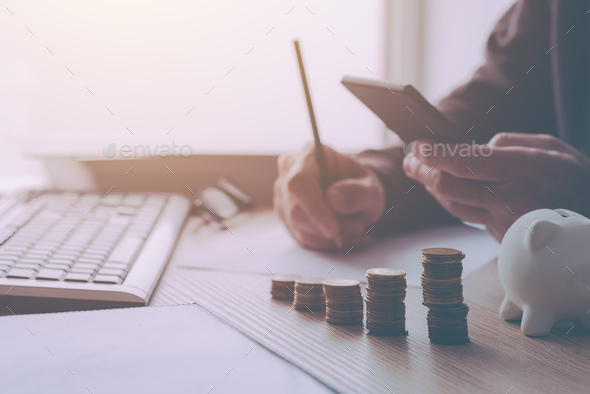 Home budget calculation, man working financial figures. Salary, expenses, taxes and expenditure. Retro toned image with selective focus.